Go Bake or Go Home: Best Mac Salad! Yum Yum! Best Mac Salad! Yum Yum! 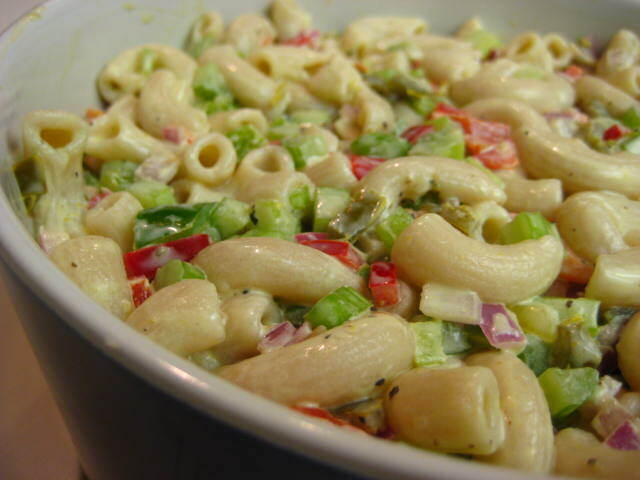 This recipe is based on Graham’s mom's famous Macaroni Salad! The main difference between the two recipes is the mayonnaise and pasta. 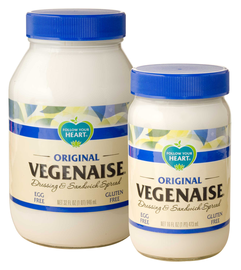 Instead of traditional mayonnaise, I use Vegenaise (vegan mayo) and gluten free pasta instead of wheat pasta. The rest is pretty much unchanged. I first had this delicious pasta salad about a year ago and have been making it ever since. It's great to bring to potlucks, picnics, BBQs, various events or just to make at home as a side dish! My Flickr: Classic Mac Salad! Bring a pot of salted water to a boil and cook pasta until tender. Strain and rinse under lukewarm water to remove excess starch. This is an important step for rice pasta. Set aside. Fold in the chopped veggies. Mix in the strained and rinsed pasta. Be sure that every nook and cranny is covered in delicious creamy dressing! Side note: try the dressing as a veggie dip! Especially delish with steamed cauliflower. Weird/Cool Products you may or may not know about! ** I've tried loads of different kinds of vegan mayo. This is the only one that I've found to be just right in flavor and most importantly... texture! A lot of them are very glue-like. Probably from too much guar gum / xanthan gum. ***These pickled jalapenos are the best! They just the right amount of kick. They last forever too. Just transfer them to a little glass jar and store in the fridge. This mac salad is delicious!